A 2016 Team USA Basketball team, even without the services of LeBron James, Stephen Curry, James Harden, and Russell Westbrook was all but certain to win gold in Rio (spoiler alert: they did). In all, the men’s program has brought home 15 gold, one silver, and two bronze medals through 80 years of play. Throughout this run, only the Soviet Union and its former satellites have brought any form of sustained competition to the Americans. Still, for the sake of comparison, the former UUSR have only won two gold medals, collectively — in 1972 and 1988. Team USA Basketball, in terms of player personnel, may be categorized into three groupings, with the 1992 Dream Team literally separating the men from the boys. Because of this history, the great majority of decorated amateurs who made only one trip to the Olympics will likely find themselves off this list. Against this backdrop, Team USA’s five best basketball players are an interesting cross-section of sports royalty that may leave many basketball junkies wondering what might have been. In 1960, Oscar Robertson headlined and captained a group that featured the likes of Jerry Lucas and Jerry West. Old-timers often cite this roster as the Original Dream Team, as it rolled to eight straight wins and the gold medal in Rome. Behind Robertson, this team blew away the opposition, by a 42-point per game average margin of victory, even making quick work of the pesky Soviets. Robertson, for his part, led the team in scoring, at 17 points per game. At 6-foot-5, Robertson was ahead of his time; a versatile athlete willing to defend, control the glass, push the pace, and run the offense. In half-court sets, he was in full command to either score at will or set up his teammates for easy buckets right at the front of the rim. As an all-around performer, the Big O does take the edge over amateur Olympians Bill Russell, K.C. Jones, Adrian Dantley, and the aforementioned Jerry West and Jerry Lucas. Out of this group, only Dantley (19.3 PPG) was a more prolific scorer. His 1956 Team, however, needed every last one of these points to outlast the likes of Puerto Rico and Czechoslovakia in surprisingly close games — Team USA won by a total of six points. In retrospect, the historically underrated Robertson was Magic Johnson and LeBron James when these two were mere figments of the imagination. David Robinson quietly emerged as the prototypical big man for international competition that predated today’s small ball era. For years, Arvydas Sabonis befuddled the competition, as a 7-foot-4 center who could post up, handle the ball out of the high post, hit open cutters, and even step out into space to knock down open jump shots. Over time, Detlef Schrempf, Toni Kukoc, and Dirk Nowitzki made names for themselves as power forwards who could also handle in traffic and operate beyond the arc to spread the floor, before the term “Stretch Four” was in vogue. The international game embraced the floor spacing, smart cutting, and versatile, interchangeable parts well before these concepts revolutionized the NBA. For years, the NBA was defined by physical play and isolation sets that often degenerated into superstars pounding the ball late into the shot clock, before clanging shots off the back of the iron. The 7-foot-1 Robinson, at his best, was a scoring machine that could run the floor, post up, hit from mid-range, and even take his man off the dribble. In 1994, The Admiral put it all together, and lit up the LA Clippers for 71 points. Robinson, for his part, made three trips to the Olympics, winning one bronze and two gold medals, in 1988, 1992, and 1996. In 1988, he was among the team leaders in points, rebounds, steals, and blocks. These 1988 collegians, however, lost to a Soviet team featuring four players above the age of 28 in the semi-final round. This loss ultimately laid the groundwork for NBA players to take the Olympic basketball world by storm. In 1992 and 1996, Robinson was the most impressive center on the floor and outshined the likes of Patrick Ewing, Shaquille O’Neal, and Hakeem Olajuwon. James, at 19 years old, suffered through the lowest of the lows for Team USA Basketball. In 2004, he was the youngest player on the team, and often deferred to the cantankerous Allen Iverson, Stephon Marbury, and even Lamar Odom out on the floor. Meanwhile, the young Carmelo Anthony and Dwyane Wade also found themselves paying their dues for taskmaster Larry Brown at the end of the bench. To start, Puerto Rico blew the doors off this disastrous mismatch of talent and personalities in group play. From here, the Americans stumbled into a bronze medal after being schooled by Manu Ginobili, Luis Scola, Andres Nocioni, and the Argentines in the Semifinals. The humiliation in Athens set the wheels in motion to revolutionize Team USA Basketball through real team building instead of simply rolling the ball out to fantasy stars. With time, James emerged to anchor a “who’s who” of basketball, with Kobe Bryant, Kevin Durant, James Harden, Chris Paul, Russell Westbrook, Wade, and Anthony, also stepping in as headliners. For once, the USA Basketball pipeline also worked to develop role players, in Tyson Chandler, Andre Iguodala, and Tayshaun Prince, who committed to defend, take charges, hit the boards, and run the floor. A more mature James masterfully walked the fine line between showcasing his great individual gifts, while also playing within the team concept. In 2008, he put up 15 points, five rebounds, and three assists per game for a Redeem Team that won a hard-fought gold medal against the Gasol brothers, Ricky Rubio, and Spain. In 2012, James actually led the team in assists. The 2012 team throttled Nigeria by 83 points, waltzed to the gold medal, and remains the only roster to be mentioned anywhere near the 1992 Dream Team in the same breath. What a difference winning makes. The polarizing Anthony has backed into something of a Dr. Jekyll/Mr. Hyde persona between the NCAA, NBA, and Olympic ranks. In 2003, Anthony carried the Syracuse Orange on his back to a National Championship. He put up 27 points, 12 rebounds, and four assists per game through the Final Four, as a precocious freshman. At that time, James and Anthony were framed as 1A and 1B rivals, who went a respective first and third in the 2003 NBA Draft. 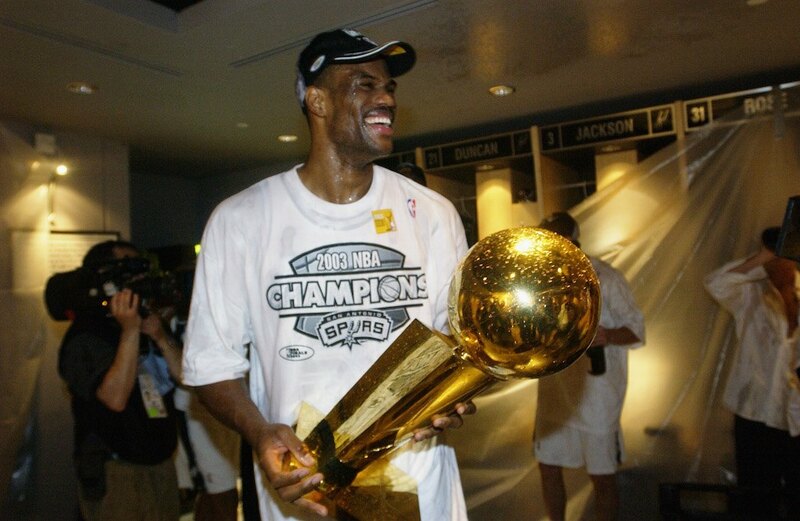 King James, of course, now reigns supreme above the NBA, after seven trips to the Finals and three championships. Alternatively, Anthony has been regularly dismissed as a one-dimensional, selfish gunner for a New York Knicks organization on the fast track to nowhere. Anthony has only made it so far as the Western Conference Finals (in 2009 as a Denver Nugget). As an Olympian, however, Anthony has performed as the ultimate winner. When surrounded by talent, he will freely give up the ball and pick his spots within the flow of the offense. On broken plays, Melo will take over and score the basketball at will. 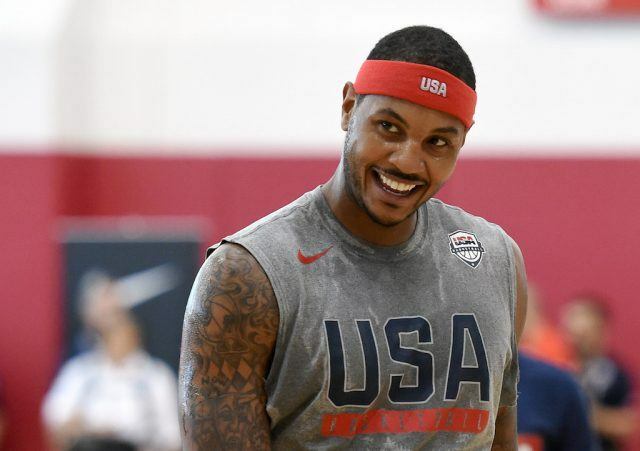 At 32 years old, Anthony is now participating in his fourth Olympics and will likely close out his international career with three gold medals as the most prolific scorer in Team USA Basketball history. Michael Jordan perfectly bridged the gap between raw, amateur athleticism and business-like professionalism in Team USA Basketball. In 1984, Jordan headlined a team that was arguably the most impressive group of amateur talent in basketball history. At that time, those who simply made the roster were presumed anointed royalty, with even Charles Barkley and John Stockton among the final cuts. Of the final group, Jordan, Ewing, and Chris Mullin eventually punched their respective tickets to the Hall of Fame, while Sam Perkins, Alvin Robertson, and Wayman Tisdale all were double-digit scorers through more than one decade in the NBA. Michael Jordan — after hitting the shot to take the 1982 NCAA National Championship — had his coming out party in the 1984 Olympics. Even prior to the Games, he led an amateur squad that barnstormed across the country and went undefeated against NBA professionals. 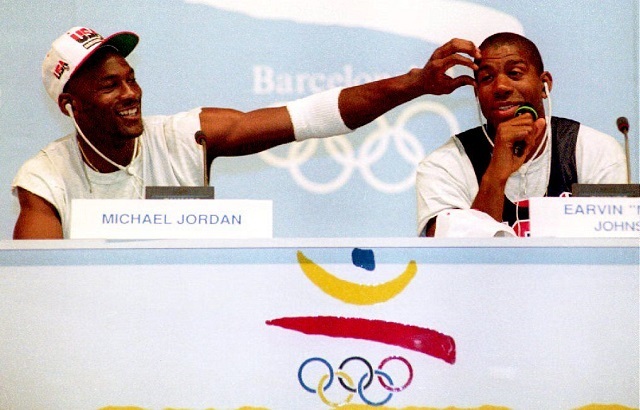 From there, Jordan went on to fill up the stat sheet in the Los Angeles Olympics, where he averaged 17 points, three rebounds, two assists, and two steals per game. The Americans rolled to an 8-0 record and the gold medal, with only Detlef Schrempf and West Germany coming within 15 points at the final buzzer. Jordan, as a Chicago Bull, did miss the 1988 Games, which ended with a humiliating loss to the Soviets and a bronze medal. This loss, again, was the catalyst for opening up the Team USA Basketball roster to professional athletes. By the summer of 1992, Air Jordan had won two championships and was taking control of the NBA away from Magic Johnson and Larry Bird. As “The Man,” Michael had the gravitas to lean upon Chuck Daley blackball his own Isiah Thomas, while also bringing back the band, with his 1984 teammates Patrick Ewing and Chris Mullin also committing to the 1992 Olympics. Jordan was the lead man of a Dream Team composed of Barkley, John Stockton, Karl Malone, Scottie Pippen, Clyde Drexler, Robinson, Magic, and Bird. Michael put up 15 points, two rebounds, five assists, and five steals per game through eight blowout wins and a gold medal. Most impressive was Jordan’s performance against Croatia, when he and Pippen took turns humiliating Bulls draft pick Toni Kukoc into one-for-five shooting, four points, and seven turnovers. At the other end of the floor, Jordan and Pippen combined for 34 points and twelve assists. There will never be another Michael Jordan. There will never be another Dream Team. Grading Team USA: How Good Are the Basketball World Champs? Who Are the Best NBA Rookies Playing in the Rio Olympics?